A vacation off the beaten path and hash-taggable adventures your friends will be envious of await you in Great Falls, Montana! 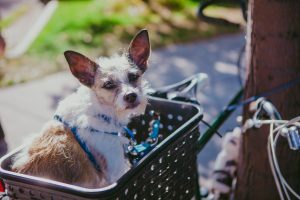 Begin your unexpected journey with a bike ride along the River’s Edge Trail, a 60-mile stretch of rail-to-trail track (both paved and unpaved) that is the envy of larger cities in the West. 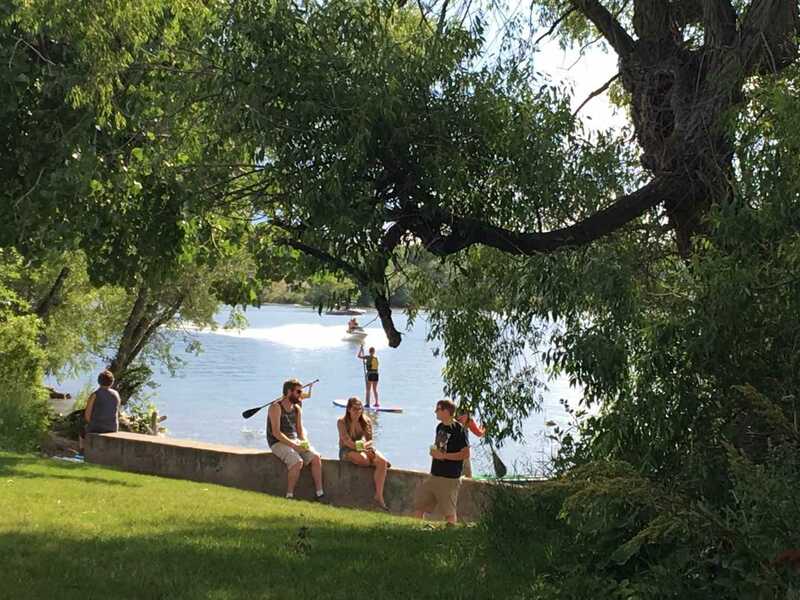 The trail boasts spectacular views of the mountains, prairies, river canyons, waterfalls, reservoirs, and 5 hydroelectric dams while connecting to Great Falls’ historic downtown. Trail highlights include 24 public art pieces, panoramic view of Great Falls through a free telescope at the Warden Park Gazebo, singletrack trails built to IMBA standards follow the canyon walls to several of the dams, and access to the Lewis and Clark Interpretive Center and Giant Springs State Park. No bike? No Problem; Knicker Biker rents bikes of all kinds: eBikes, recreational mountain Bikes, Comfort Bikes, and Performance Mountain Bikes. A full list of outdoor rental equipment is available here. If biking is not your thing, you can still enjoy the River’s Edge Trail by walking; the 3.5 mile Urban loop takes you across the Missouri River, past The Front Brewing Company, and back into Gibson Park – a gret start to explore Great Falls, where you can enjoy Urban Art, spectacular views of the Missouri River, and adjacent historic districts. Downtown Great Falls has it all; shopping, dining, art & culture, and a big-city vibe. Offering art galleries, urban art and Montana’s Best Coffee Shop and Montana’s Best Irish Pub, you’ll find something to love in Great Falls. Every Saturday in the summer, downtown comes alive with the Farmer’s Market. Throughout the year, art tours, ghost tours, brothel tours, and historic tours give you a glimpse inside Great falls. 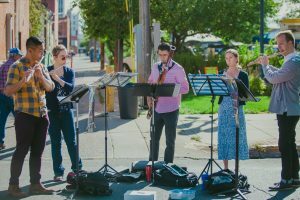 In the summer, Music on the Mo brings live music, food trucks, and local craft beer to OddFellow’s Park. My favorite place to learn about emerging artists and new styles is the Paris Gibson Square, one of the city’s 10 museums that make Great Falls Montana’s museum capital. In one of the city’s first buildings is modern art from a variety of artists. Ever-changing exhibits display art that will challenge you. A recent exhibit by Jay Schmidt Winner Takes All was a collection of paintings and sculptures that portrayed a world of figures mired in the violence and destruction of endless wars, environmental exploitation, and greed. The style Jay uses is evocative, and the exhibit’s message stayed with me long after I viewed it. You can see several amazing exhibits year-round that will evoke a range of emotions at the Paris Gibson Square Museum that feature a permanent collection of 611 pieces, including outdoor sculptures such as the iconic large yellow lawn darts. 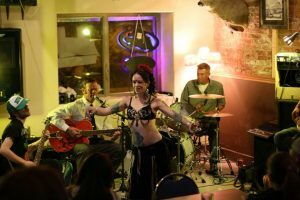 Nowhere else in Montana can you sip a tiki drink while watching live mermaids and mermen swim underwater than at the legendary Sip n Dip Lounge in downtown Great Falls. Located inside a mid-century modern hotel, the Sip n Dip has been ranked by GQ as the #1 bar on Earth worth flying for. The Sip n Dip will become your new favorite bar, too, as you meet people from around the world. 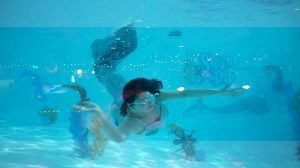 What could be more fun than watching mermaids and mermen swim while listening to famed lounge singer Piano Pat Spoonheim take center stage. We promise that you have not experienced the best of Great Falls until you have sung your favorite song with Piano Pat. Great Falls is home to some of Montana’s extensive collection of microbreweries. Our micros use the barley grown locally, malted locally, to create works of art in a pint glass. 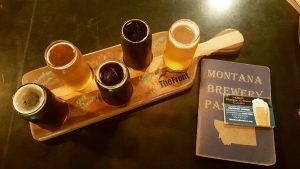 Grab your Montana Brewery Passport and explore the refreshing local brews of Great Falls Montana. In 2017 and 2016, Mighty Mo Brewing Company won the best brewery award at the Beer and Gear festival. My favorite pint at the Mo is the Dam Fog, but I prefer the Motorboat during the summer. Every fall, the Mo releases a special Oktoberfest and in the spring, they hold a home brewer’s contest, and showcase the winning brew for a limited run. The Front continues to push the boundaries of craft brewing. Their recent Strawberry Rhubarb Mead was a refreshing summer hit, and the Cerveza de Oro is a light Mexican lager that almost transports you to Cancun. Sharing a building with Big Mouth BBQ, you can drink true innovation while eating authentic Montana cuisine. 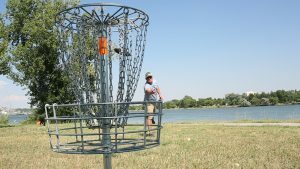 Folf, disc golf, frolf, or frisbee golf; however you reference it, Great Falls Montana is ahead of the curve with 2 disc-golf courses in the city, you will have hours of fun enjoying this pastitme, and you’ll have an amazing opportunity to enjoy spectacular views of the city, river, and that famous Big Sky! The 18-hole course at Warden Park begins at the gazebo overlooking the city and the 9-hole course at West Bank Park runs along the Missouri River. Bring your seasoned mid-range and enjoy a round. The Back Alley Pub is Great Falls’ home for indie music from up-and-coming bands. Located downtown in an intimate setting, the Back Alley Pub features Giant Jenga, Fooseball, a vintage jukebox, local art, and plenty of live music. Recent shows have included Go Hibiki, Beat Deaf, Ben McKee, Sissy Brown, Polly O’Keary & The Rhythm Method, and more artists representing rock, hip-hop, funk, soul, and trance. Check out a show at the Back Alley for the cred of seeing tomorrow’s chart toppers before they were discovered! Great Falls is a preferred destination for adventure and unique experiences, we invite you to renew your spirit and explore Great Falls, Montana before it gets too cool! While you’re exploring Great Falls, use #visitgreatfalls to capture your memories and brag about your experiences!